Take a look at some of these simple tips to making your home attractive, in ways that could help you save money on your energy bills too. Even the simplest design features, such as the colour of your walls, can have a big impact on the energy efficiency of your home. Light colours like cream, white and pastel shades will reflect light and keep rooms cool; so they’re perfect if you rely heavily on air-conditioning to keep your home comfortable. Dark colours on the other hand will absorb heat and release it back into the room, so this is a sensible design feature if you live in a cold climate. What’s more, painting a room in a deep red or purple will make it feel warm and cosy, so you’re less likely to reach for the heating controls! The kitchen of any home has enormous energy demands when appliances like fridges, washing machines, microwaves and dishwashers are in constant use. For this reason, the most effective method of improving energy efficiency is to use the most up-to-date appliances that you can find. Modern companies like Wren Living use the most advanced appliances with high energy ratings as part of their kitchen design, so it’s worth checking them out. Water usage is also a concern in the kitchen. If you think that you’re using excess water, only use your washing machine or dishwasher for full loads. If you’re the sort of family with the kettle constantly on the boil, it’s also worth considering installing an instant hot water tap. This is great for making tea and coffee in an instant, as well as cooking vegetables and pasta. A room’s windows are where the majority of heat escapes. The most effective way of preventing this heat loss is with double or even triple glazing. While traditional glazing is designed with air between the panes to act as insulation, modern methods use more efficient insulating gases like argon. Of course, there are simpler measures that you can take instead of replacing the windows in your house. One of these solutions is the addition of attractive colonial style shutters. They are a great feature and are effective at blocking out light, and locking in heat. 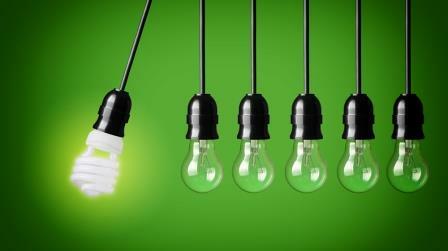 The days when energy efficient lighting was ugly and unattractive are long gone. Nowadays, efficient options like LED lights are bright, clear and indistinguishable from other lighting options. They’re a little bit more expensive initially, but they use a fraction of the energy compared to older styles of light bulbs and they have a much longer life. Using draught excluders is a great way of making your home feel warmer and reducing how much you rely on your central heating system. Like modern lighting, draught excluders don’t have to be an unattractive feature of your room. Take a look at the creative designs from Your Life Style (yourlifeyourstyle.co.uk). These are especially great for families with children and will seem more like a room accessory, than a solution to freezing draughts.